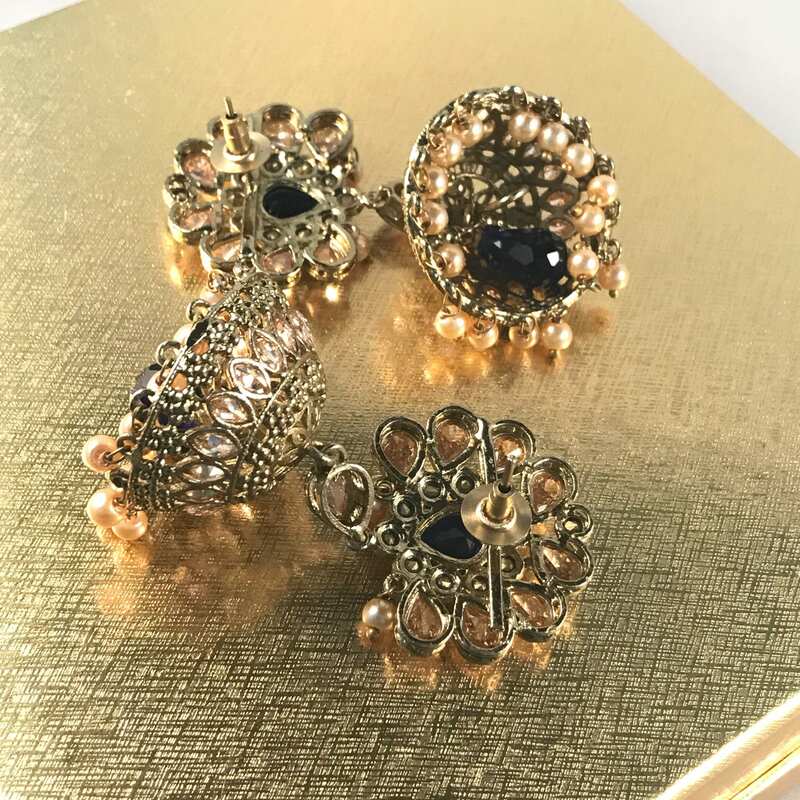 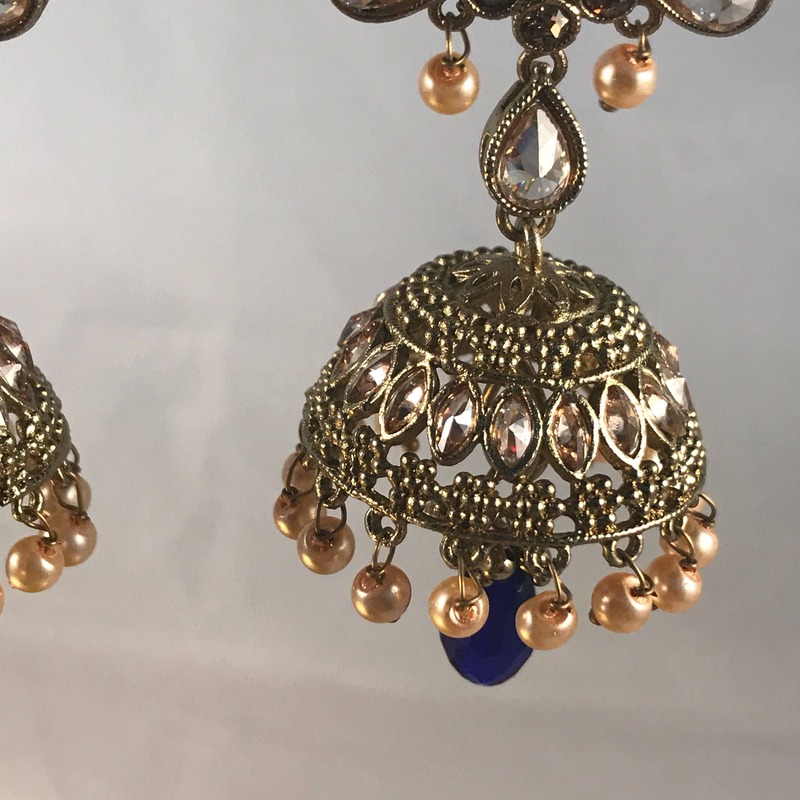 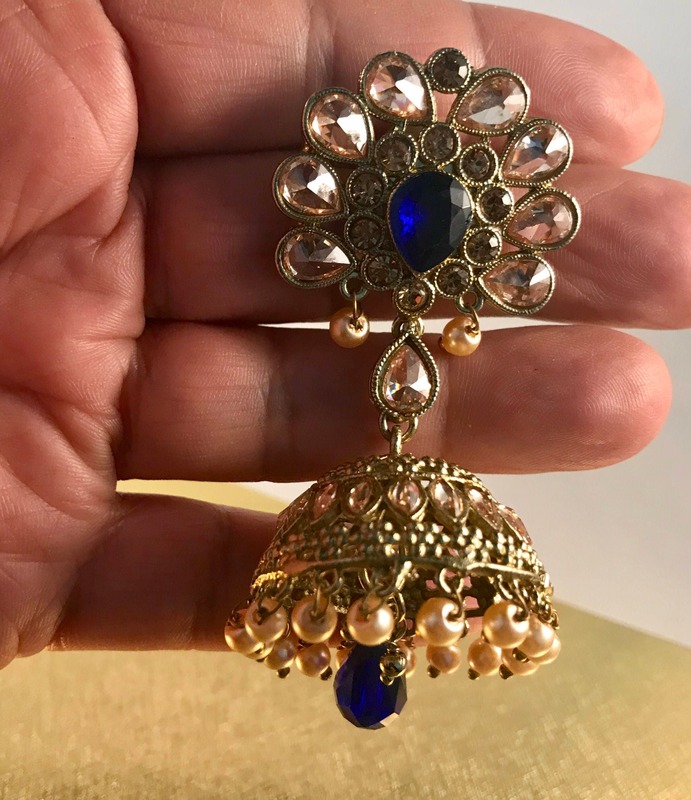 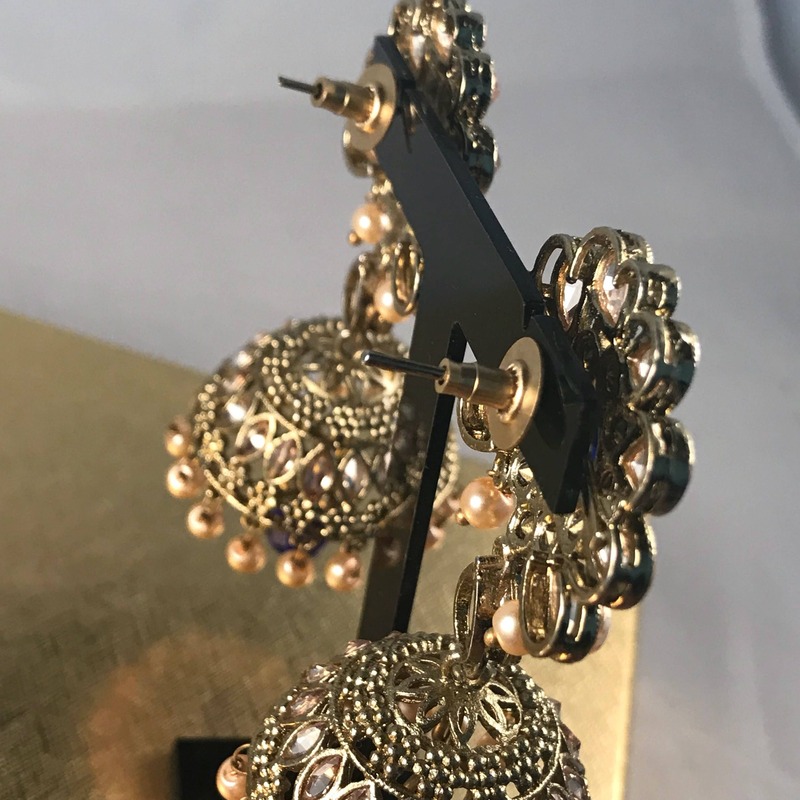 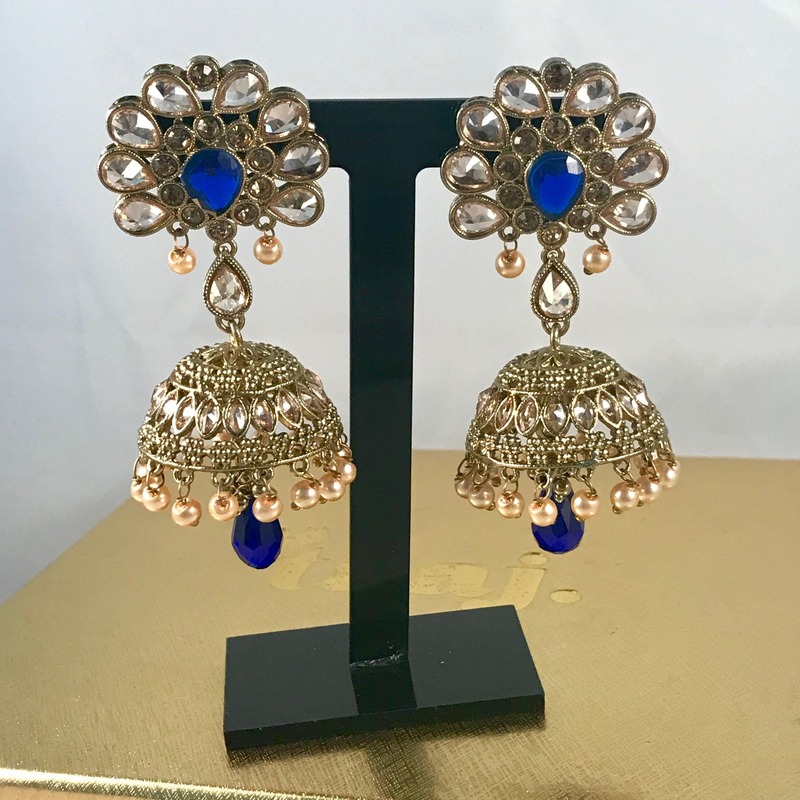 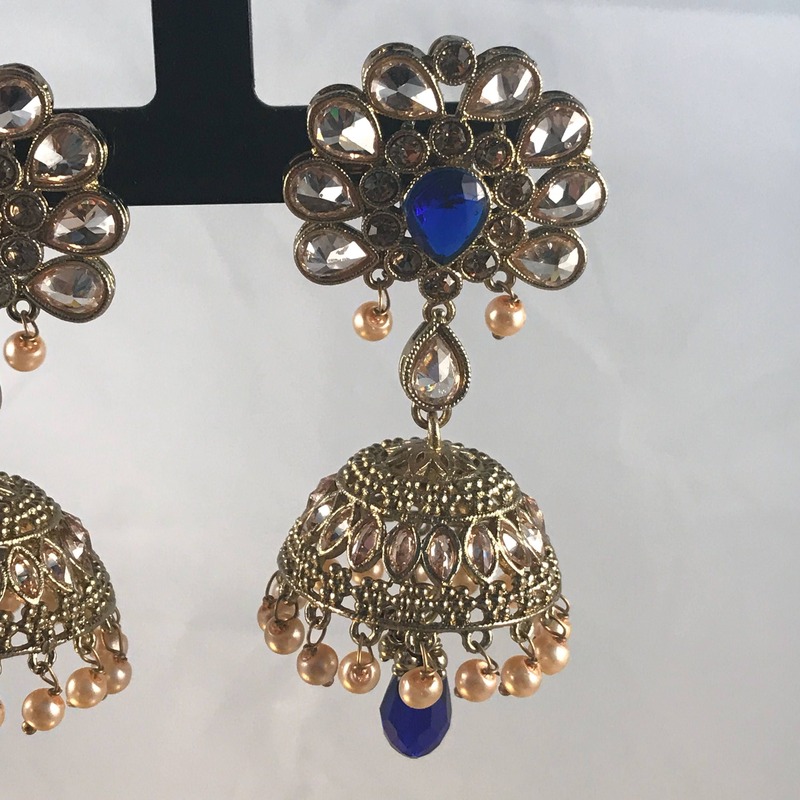 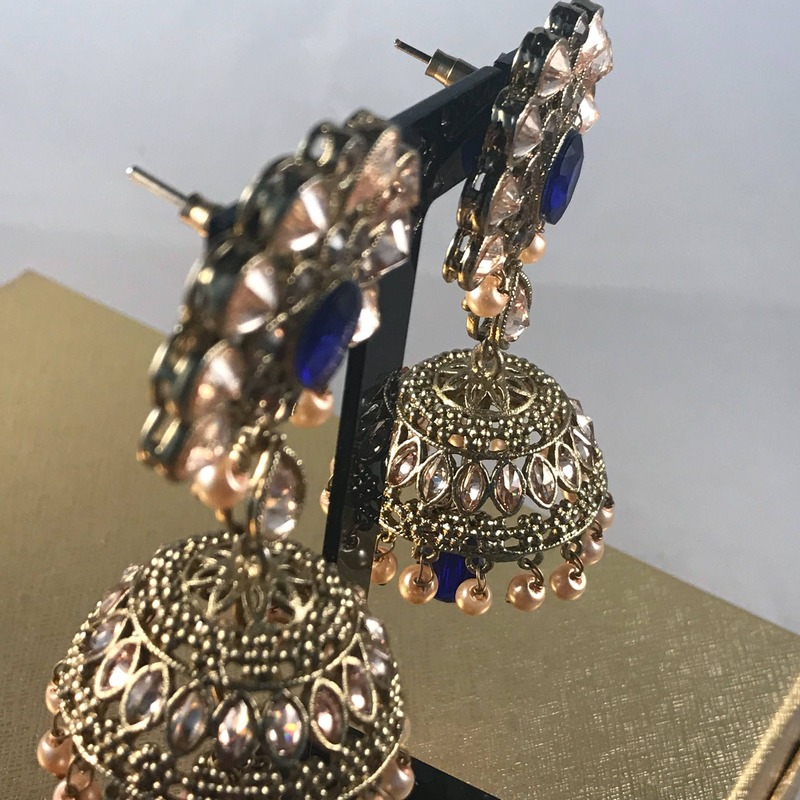 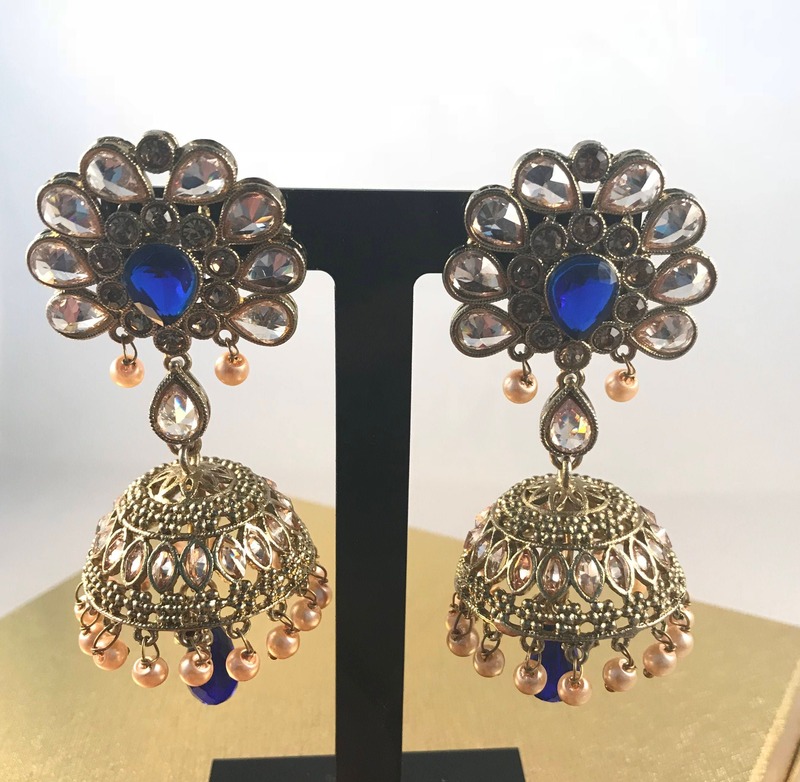 High quality Antique gold Jhumka earrings, for pierced ears only. 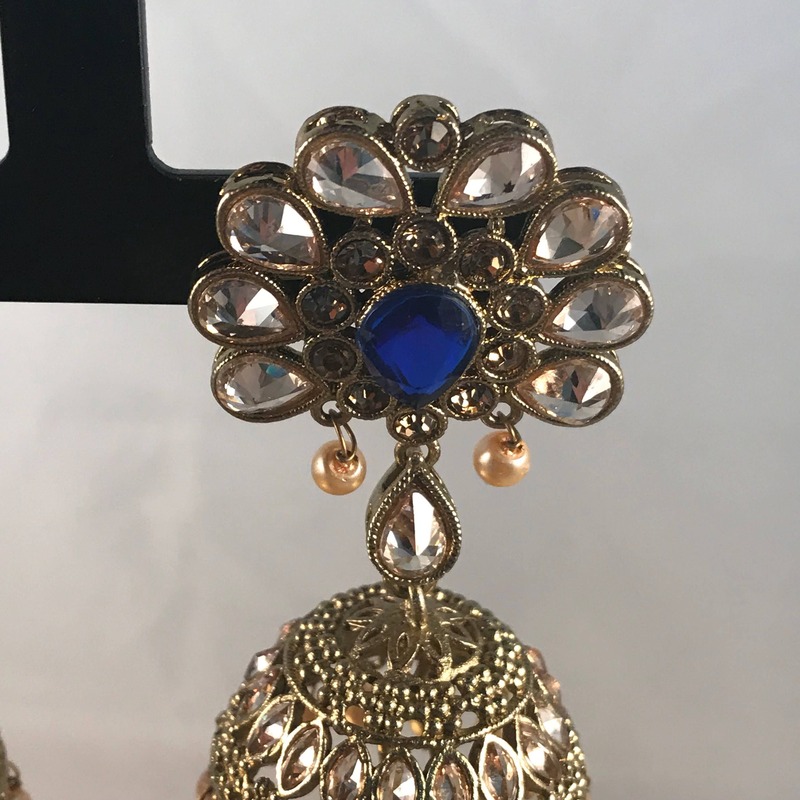 Champagne colour zirconia stone with royal blue colour gem and royal blue colour crystal droplet. 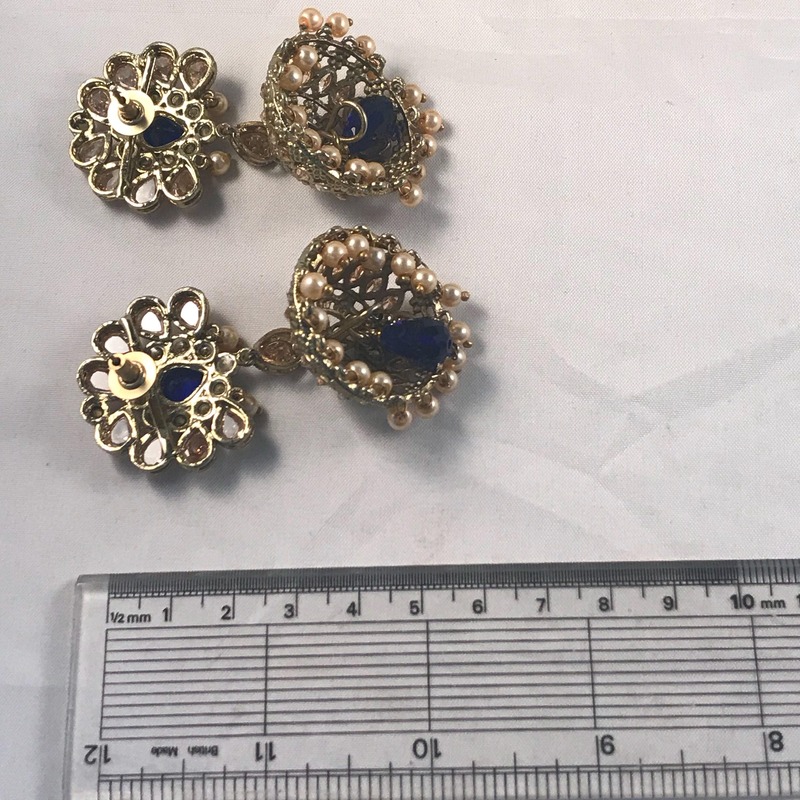 Miniature faux ivory pearl trim.